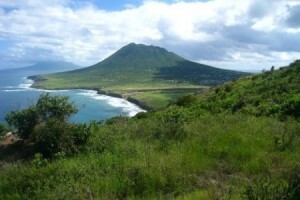 THE HAGUE–A quadrupling of the family allowance (“kinderbijslag”) to help combat poverty in Bonaire, St. Eustatius and Saba. That was the proposal of Members of the Second Chamber of the Dutch Parliament Roelof van Laar and Ronald van Raak of the Socialist Party (SP) during a debate on Monday. This was reported by the Daily Herald in Sint Maarten. Many children in the Caribbean Netherlands are growing up in a family with a minimum liveable income with the current minimum wage of US $800. This results in children being raised in poverty, said Van Laar, who suggested that “at least” another US $300 was needed to achieve a liveable income. To show that he was dead serious about the issue of poverty and children’s rights, Van Laar submitted a motion, co-signed by Van Raak, to increase the family allowance from US $40 per month to US $150 per month per child. He did so during Monday’s debate on the Caribbean Netherlands constitutional evaluation with Dutch Minister of Home Affairs and Kingdom Relations Ronald Plasterk. On a yearly basis, this increase would cost the Dutch Government some US $6 million. Plasterk said that he was willing to see whether there was room in the 2017 budget, but he couldn’t make any promises, also because the amount might have an adverse effect on the other expenditures that are made for education and public health on the islands. Van Laar responded that establishing a social minimum was a good step, but that it could not be the final objective. He emphasized that a social minimum should also mean a liveable income. “This is a work in progress, and we are not there yet,” said the Member of Parliament (MP). MP Paul van Meenen of the Democratic Party D66 concurred that poverty was a big problem. He said that the Dutch Government had not succeeded in achieving an acceptable level of provisions. “It is not right that children go hungry to school,” he said. Van Meenen referred to the high prices of consumer goods, and said that something needed to be done about this. All four MPs present at the debate, Van Meenen, Van Laar, Van Raak and Bosman mentioned stimulating local agriculture as a way to grow cheaper fruits and vegetables, which would reduce the need for import, raise the purchasing power of the people and create more local jobs. Minister Plasterk lauded this idea and said that the Netherlands could make expertise available for agricultural projects. Besides the motion of Van Laar, four other motions were submitted during Monday’s debate, all by Van Meenen. The MP called on the Dutch Government to achieve an acceptable level of provisions before November 1, 2016, and to place the coordinating role at the Ministry of Home Affairs and Kingdom Relations BZK. In one of his motions, Van Meenen also requested for the establishing of a competition authority (“mededingingsautoriteit”) to mitigate the effects of the companies with a monopoly position, and to adapt the free allowance (“vrije uitkering”) for the three islands taking into consideration the needed investments in the physical infrastructure. Voting on the motions takes place in the second half of June.